Chris Green is Head Keeper of the famous Conholt Estate. With a life times experience in breeding and working gun dogs he has had to maintain the highest of standards on one of England's leading shooting estates. In this film Chris takes us through a more advanced course of training your gun dog from puppy to field trials. 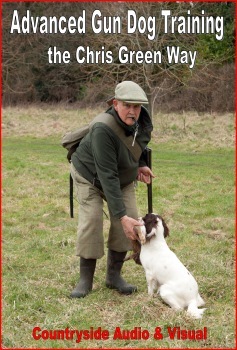 Available as a DOUBLE DVD set - with over 165 minutes of excellent advice on training your dogs.